Amid the disputes of the Ethiopian Revenues & Customs Authority and taxpayers over stalled containers, the flow of containers to dry ports is increasing every day. 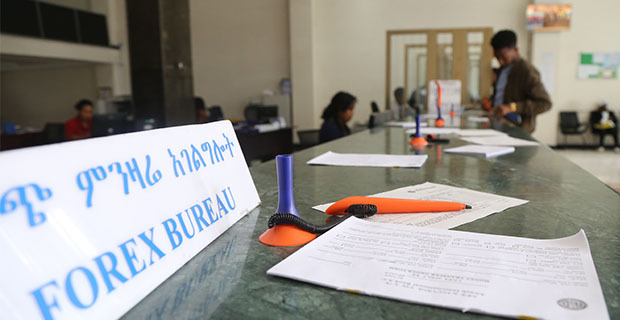 None of the stakeholders can bring a solution to evade the real bottleneck, except point fingers at each other, BERHANE HAILEMARIAM, FORTUNE STAFF WRITER, reports. Goods are ready to leave the port after completing the process of inspection and paper work. Unloading of a 40-feet container from a low-bed truck to be stacked in the row of containers at the waiting place. Sisay G. Kidan, young and energetic, in his mid-twenties, has been working for a private enterprise as a transitor for three years. He was rushing here and there to process the documents at hand and clear two containers that have been stocked at Modjo Dry Port for a month. He came to the port to complain about a lack of communication upon arrival of containers. The port is the main gateway to Addis Abeba and service markets in surrounding towns, handling key items including consumer and other goods. 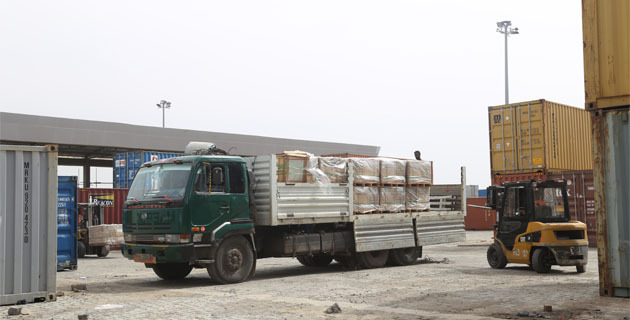 In contrast to the sentiment forwarded by Sisay, Abebe Haileselassie, a warehouse management & control coordinator at Qality customs branch office, links the problem of communication with the importers. 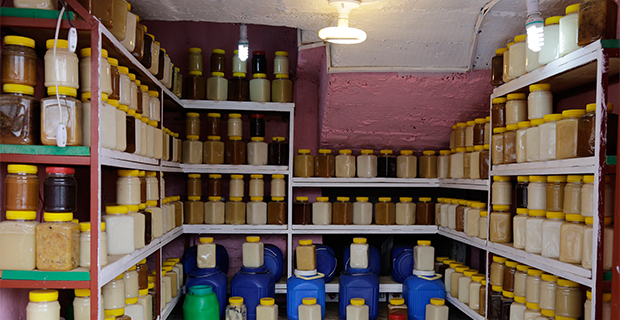 “Sometimes, there are containers whose address is hard to reach even though we try to get them by every possible way, via telephone as well as the Internet,” said Abebe, who ordered the confiscation of 127 containers that had passed the two-month limit. Ever since the introduction of the first dry dock, Modjo, eight years ago, seven dry ports have opened throughout the country. This, however, has not stopped the problem of congestion of containers in ports. 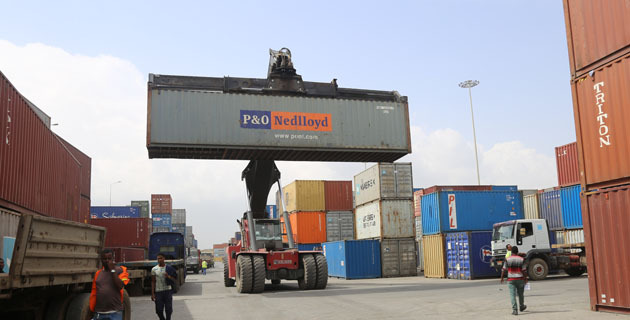 A week ago, in a meeting organised by the Ethiopian Revenues & Customs Authority (ERCA), it was disclosed that over 7,900 containers were stocked at Modjo and Qality Dry Ports, which handle over 90pc of containers in the country. Three years ago, ERCA set a directive which put a time limit for containers staying at dry ports for over 60 days. The directive had not been in effect for more than two years, with the aim of giving an extended grace period for importers until they became familiar with the limits. Now, a year after the end of the grace period, the problem does not seem to be solved. One of the major constraints, according to importers, to clear on time, is the foreign exchange problem that has engulfed the country. Hence, Tekeste and other importers usually lack finance to clear their containers as they spent much of their money to open letters of credit (LC), fearing that there will be a foreign exchange shortage. “Due to the unpredictable nature of hard currency, we tend to spend much of our money to open letters of credit,” said Tekeste. The process of importing starts with letters of credit applications submitted to commercial banks to obtain an LC and should be accompanied by the pro forma invoice/contracts from suppliers, stating the type and quantity of the commodity, price per unit and freight on board (FOB) amount. 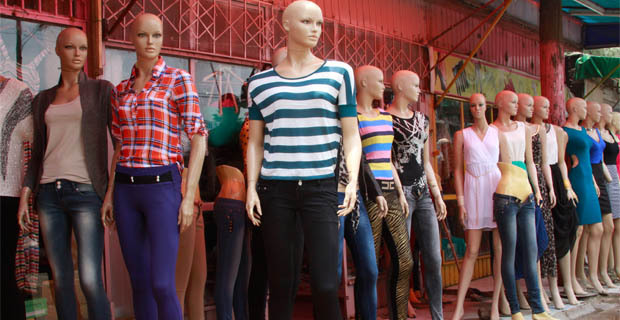 This has forced the importers to be dependent on the commercial banks to import the items they tend to supply. 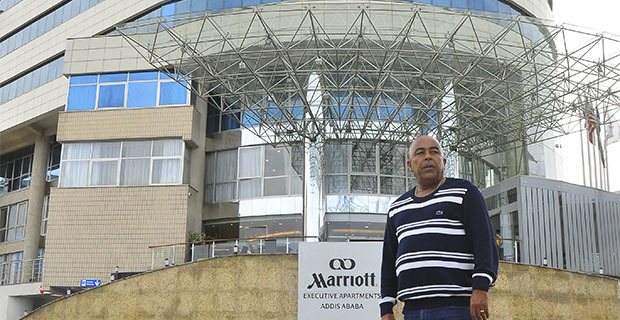 The problem of foreign exchange has always been unstable in Ethiopia. Last year, all commercial banks traded a foreign exchange of 12.7 million dollars, which is 12pc lower than the previous fiscal year. And, a look at the book of the National Bank of Ethiopia reveals that the foreign exchange reserve has reached a point where it can finance two and a half months worth of imports. This is very much lower than the standard three months import proceeds that an economy ought to have as a reserve to sustain shocks in international trade. By the same token, the major reason for the delay of containers at dry ports is the late arrival of bank documents which include commercial and country of origin invoices, original sets of a bill of lading, airway bill and truck waybill. On the other hand, since the introduction of multi-modal cargo service in 2006, importers are obliged to clear their tax after the container has reached the dry ports. This is contrary to a small portion of containers which come with uni-modal cargo service, which pays tax before the containers arrive. 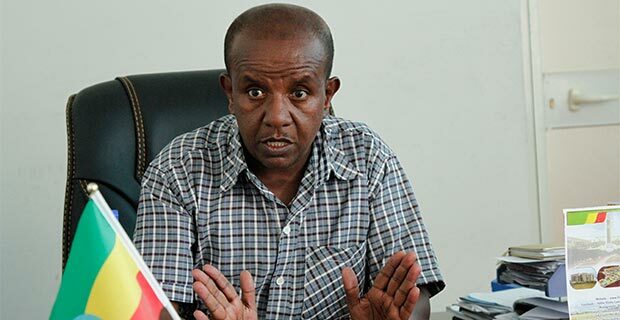 “Some container owners wait until the last day of the grace period to clear their containers,” claims Addis Ayele, head of Modjo Dry Port. Importers are not expected to pay for the container for the first eight days after it has arrived at the dry port. But, they will be asked to pay between 43 Br and 176 Br a day between the ninth day and the last day of the month. And, containers that have stayed for more than 30 days are charged between 124 Br and 229 Br daily depending on the size of the containers. This, according to industry insiders, should be reviewed to deter the challenge of containers congestion. Modjo Port, which accommodates 90pc of the country’s imported containers, has a total storing capacity of 14,900 containers. Up until the end of last week, there were about 9,894 containers inside the port. From these, about 656 had passed the 60-day grace period. Out of these containers, 131 belong to governmental institutions, with the Ministry of Education and the National Alcohol & Liquor Factory having more than 25 and 32 containers at the port, respectively. Apart from financial issues, a transitor with four years of experience relates the overstaying of containers with problems arising from cranes that move and collect containers inside the dry port. “The number of cranes is small and has not always been short of problems,” said the transitor. Moreover, the effect of delayed containers is adversely affecting the tax revenue of the country. ERCA has not managed to attain its target of 29.4 billion Br of tax revenue until now, owing to stalled containers in various parts of the country, collecting 25 billion Br so far. The Authority could have collected an additional 4.4 billion Br in the past 11 months from these containers, according to Getu Legesse, deputy manager of Modjo Dry Port. 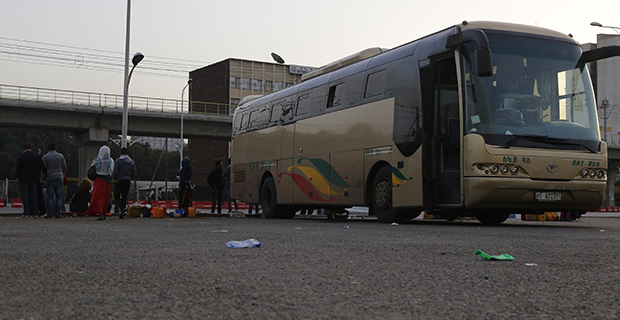 A logistics expert, who wished to remain anonymous, believes the multi-modal transport system is a major cause for the loss of such amounts of revenue for the country.